From time to time I get emails from olive growers offering the chance to adopt an olive tree in their grove. The idea of adopting an olive tree sounds quite intriguing and so I thought I would have a further look at the idea. First of all I wondered why would anyone want to adopt an olive tree? 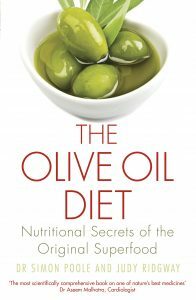 Well, it seems that lots of people have an unfulfilled dream of owning an olive grove and making their own oil. Adopting a tree may not be quite the same but it is a step nearer their goal. Others are keen to help small artisan producers create a quality product that is near to their heart and this is one way of doing so; though some of the offers look more commercial than others! When I came check the web I was amazed to find so many different producers offering the possibility of adopting a tree…..and at so very different prices and terms. There are offers from family owned groves and from entrepreneurs who have gathered together groups of producers in a particular area. Take your pick from Spain, Portugal, Italy, Greece and France. There are also some groves offering the same service in California, Texas, and even New Zealand. Though thelatter can be rather expensive when it comes to shipping! Prices and conditions vary quite a lot. You can pay as much as 100 plus euros to adopt a single tree and very little oil or pay as little as 49 euros for a tree with up to 10 bottles of oil a year. Here are some examples taken at random from my researches. Just google the name of the producer for more information. 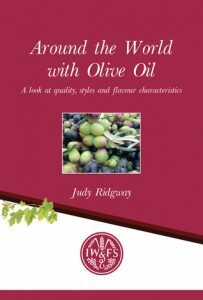 With the exception of Telegrah Hill in New Zealand, I do not personally know the producers, the groves or their oils, so you will have to make up your own mind about the relative value of the different offers. Watch out for extra shipping costs, are they included or not. And what happens in the following years if you want to continue, do the extras stop? 135 euro annual fee buys you 4 litres of Las Patras Cuvee Lisa evoo, plus a certificate of ownership, a picture of your tree with your name plate on it and a google map showing its location. They also say that they will give a fruit tree to an orphanage in Haiti. This company offers quite a complicated range of packages which seem to start at £33.00 a quarter for a pack of 3x500ml tins of extra virgin oil delivered direct to your door. You can select from which of the participating groves you would like to adopt a tree. There are five groves in Sicily, planted with various combinations of Cerasuolo, Biancolila, Nocellara, Morisca and Carolea olives and one in Liguria, planted with Taggiasca olives. Prices here vary from 49 euro for a single year to 299 euro for a whole life with a baby tree planted specially for you. It is not very clear how much you get for this fee but the second level of 99 euro includes the usual certificate, a photo of the tree and two litres of La Rogaia evoo, shipping costs extra. Here 73 euros will get you an unspecified present with a sample tin of oil, the estate’s own cookbook, and two litres of oil from your tree at harvest time. This is one of the meaner deals with only one litre of oil offered for an adoption fee of 59 euros. However, you do also get a personalised key ring made from their own olive wood, the usual certificate and photo. Shipping is included. Another wide range of prices here starting at 39 euro with unspecified amounts of oil. The site rather cryptically says that the larger your tree the more oil you receive. You can choose your own tree from a range of pictures and its history will be catalogued for as long as you adopt it. This company has a good story behind the offer of 30 euros to adopt a tree for a year plus 1.5kg evoo. This website is run by a young professional couple from Archanes in Crete who are offering olive oil produced from their home village. “Our website is an effort to share with you our love for nature and its products, our village and its tradition and a way to work together and earn money for creating our family”. The deal from this estate is similar to many which seem a rather expensive way of buying extra virgin olive oil. Forty five euros buys you a litre of their Arbequina oil, together with the requisite certificate of ownership and various bits and pieces such as the offer to “name your own tree”. This mill near Toledo is rather more generous with its adoption programme. Here 55 euro will buy you a 5 litre plastic container of the local DO Montes de Toledo evoo pressed from Cornicabra olives, and a small 500ml glass bottle and the usual picture and certificate. Choose from pictures of beautiful old trees with rather fanciful names on this organic olive farm in the Park of Serra de Sao Marmede. This is another site which is difficult to navigate. It seems that it costs about 56euros to adopt a tree but I have been unable to see how much oil you will get. This grove is situated in Hawkes Bay in North Island. The cost of adoption for a year is similar to those in Europe at 130 NZ dollars or about £60.00 and for this you get three 250ml bottles of new seasons oil in September, and six pouches (300g) of olives in March. These dates coincide with the release of the new season olive oil and new season olives. However, shipping to the UK costs an extra £70.00 which makes it an expensive deal if you do not live in Australia or New Zealand.